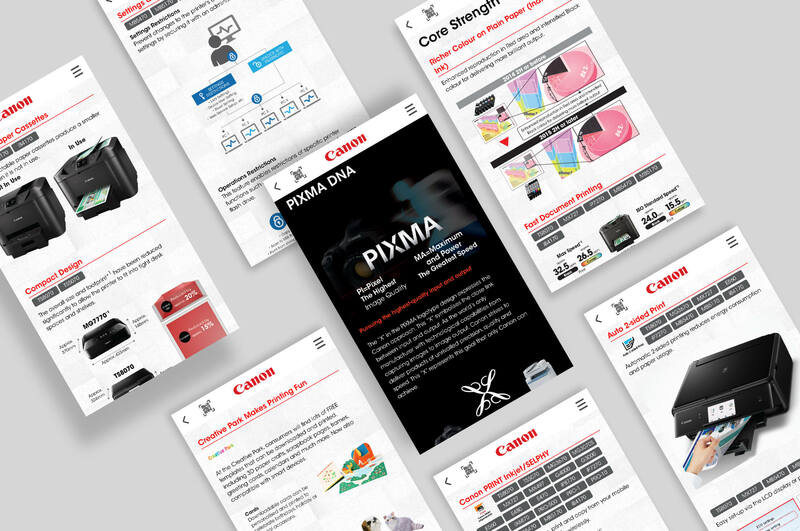 People often know what they want, and it was our responsibility to show them how to get it. 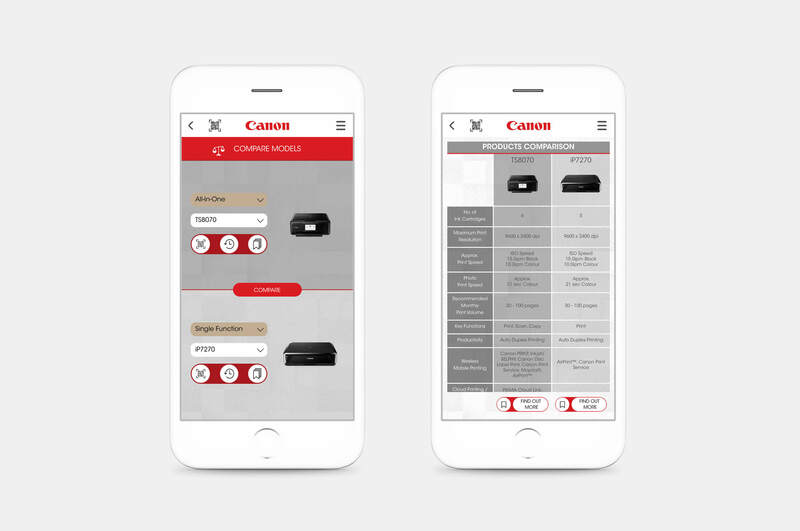 This drove us to develop an app that will be easy to access, effectively serving as a consumers’ guide to Canon printers. 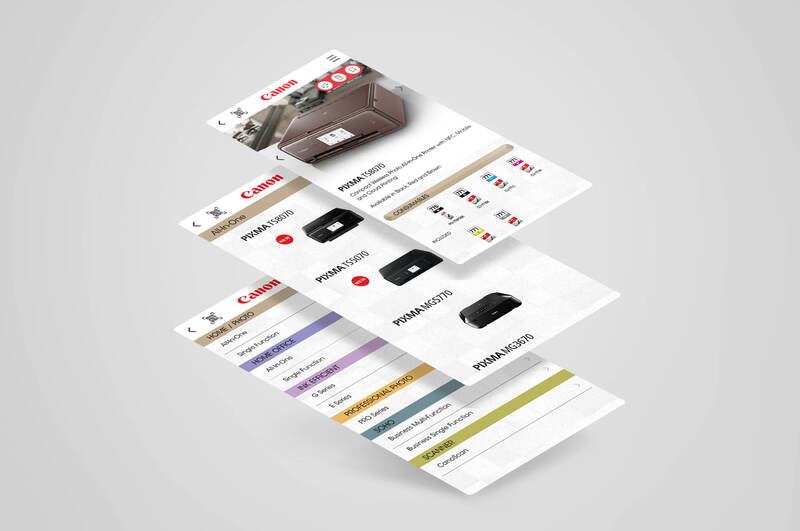 Our priority was to keep the interface and experience as user-friendly as possible. 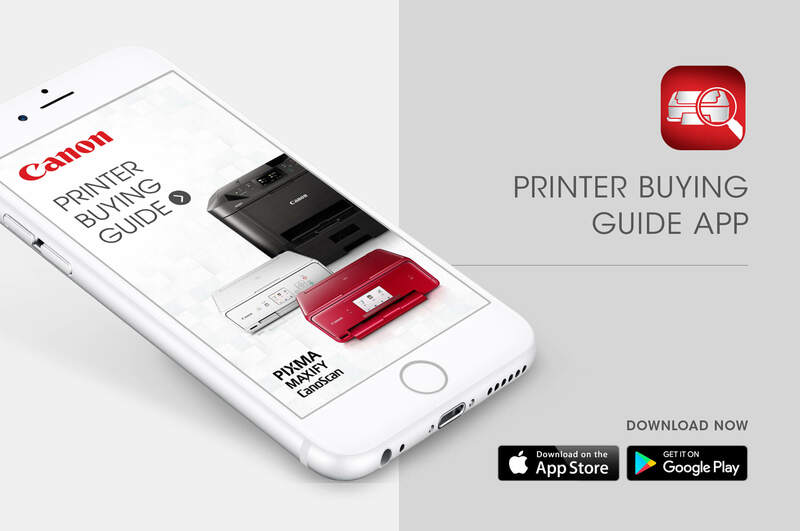 At a glance, users should be able to navigate through printers and information accordingly based on their requirements. 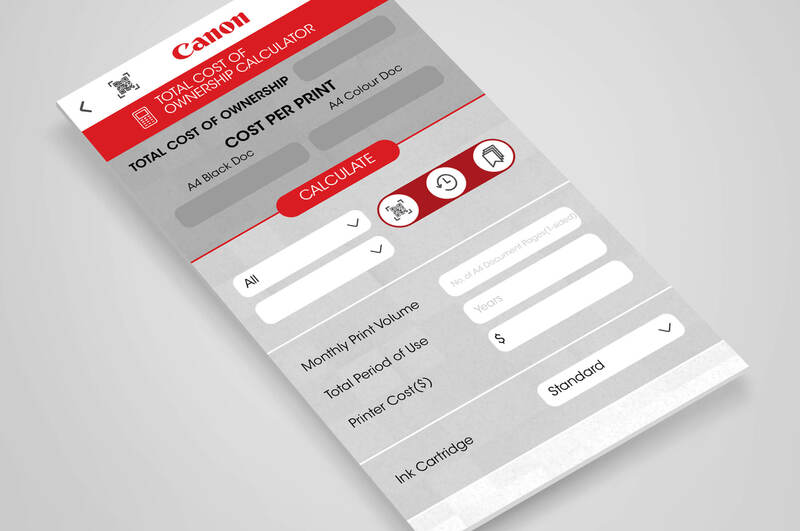 As means of value-adding, we also featured functions such as expenses calculator as well as a model comparison page to enable better and more informed decision-making as users select a Canon printer that suits them the most.